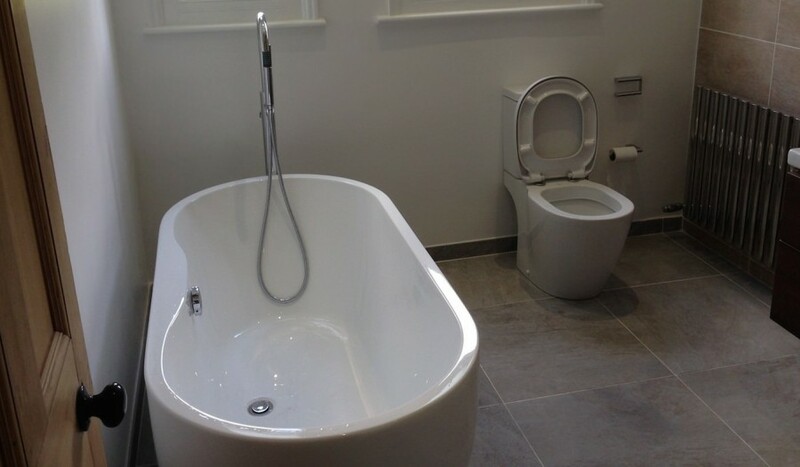 We are London’s local bathroom fitters, specialized in fitting any new bathroom suites, showers and wet rooms. Our bathroom suite replacement service starts with the removal of the old bathroom stuff, preparing the place (leveling properly the walls and floor surface), preparing the new hot and cold water connections for the washbasin and bathtub or the shower room, installing the toilet or the bidet, laying tiles on the floor and walls (we do lay any kind of tiles on floor and walls surface – porcelain / ceramic, stone, marble, mosaic, quarry tiles), installing new lighting and extractor fan (we do install waterproof low voltage spotlights and extractor fans), painting the ceiling and any woodwork inside of the bathroom and we end up with cleaning the place at your requirements. As the London’s local bathroom fitters, we do have a response team in case of an emergency, like maybe there is a pipe leaking (or more), the hot or cold water not working or for any other issue related to your bathroom. Just make a call to us and we will respond to your request as quick as possible. Our costs ar not calculated on daily (hourly) rate basis, but nor fixed. We do charge a bathroom fitting based on the size of the bathroom, the amount and the type of the materials needed, by the current condition of the existing bathroom or place. So, it can start from a couple of hundreds and go to a couple of thousands. That’s why, for us it is very important to see the place before submitting any quote to you, but you don’t have to be worried, we don’t have a call out charge or charge you for the quote. 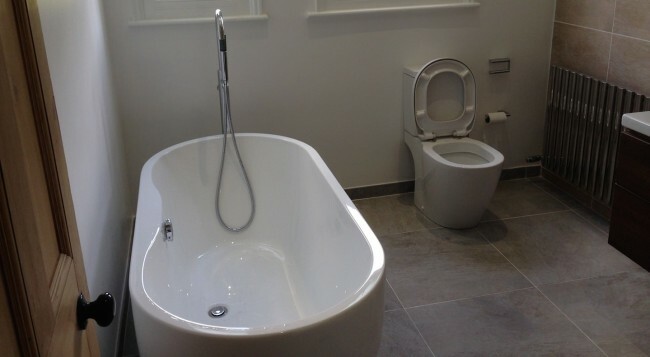 If you have in your mind to change your bathroom suite with new one, renew the painting, re-tile the walls or the floor, to have installed a thermostatic shower, a washbasin, toilet, new lights, a new shower cubicle or you want to change the bathroom into a wet room, just give us a quote (or email us) and ask for our free quote.